A completely forgettable early '80s title from an unknown Label. 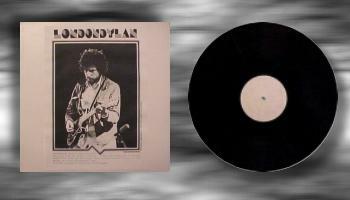 This is a bad sounding copy of LP one of London Dylan released by disaster Enterprise Ltd. Chintzy, Xerox paper glue on cover. Blank labels. About the best thing I can say about this title is that it is listed on the cover as "Volume One", and, to the best of my knowledge, "Volume Two and Three" never saw the light of day.